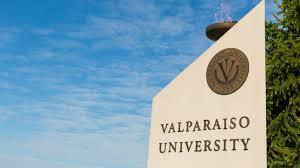 The Welcome Project at Valparaiso University will be expanding its efforts through a $100,000 grant from the National Endowment for the Humanities (NEH). NEH’s Digital Projects for the Public program seeks to back projects that improve the public’s understanding of humanities ideas in a digital environment. The project, with segments currently featured Tuesdays on Lakeshore Public Radio, is titled “Flight Paths: Mapping Our Changing neighborhoods”. Co-directors Schutte and Wuerffel, with a team of experts, will create an interactive website that documents the de-urbanization and fracturing of neighborhoods of Northwest Indiana in a post-industrial America. More information about the Welcome Project can be found on their website welcomeproject.valpo.edu.